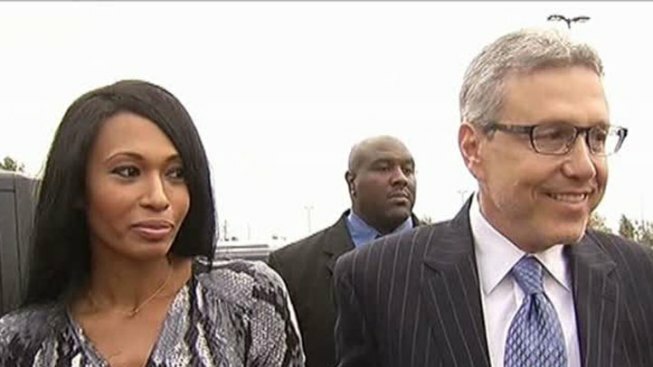 The bitter divorce battle between Deion and Pilar Sanders continues to play out in a Collin County courtroom. The estranged couple is now at odds over their pre-nuptial agreement and child support payments. Pilar’s attorneys have filed a number of motions, so her side is driving the divorce hearing. Her attorneys are arguing that the premarital agreement is partially forged and partially signed under pressure. Deion told NBC 5 that Pilar took the deal more than 12 years ago, but now is after more of his “hard-earned” money. Deion and Pilar Sanders are heading back to court on Wednesday to address their prenuptial agreement and child support payments. The first courtroom battle of the day was over the couple’s 1999 prenuptial agreement. Her attorneys argue that it’s not valid, saying that part of the copy is forged and two pages are missing. Friedman claims some of Pilar’s signatures do not match. They want the original copy to be reviewed by a handwriting expert and ultimately hope a judge will toss it out. “I think the prenuptial agreement is out the window, but we'll see how we do in court,” said Friedman. Deion told NBC 5 that not only did Pilar sign the agreement, she requested and received a $100,000 signing bonus. Deion said his soon to be ex-wife’s greed is driving this fight that he’s trying to defend. “You sign a pre-nup because you know the marriage won’t last,” Deion said. 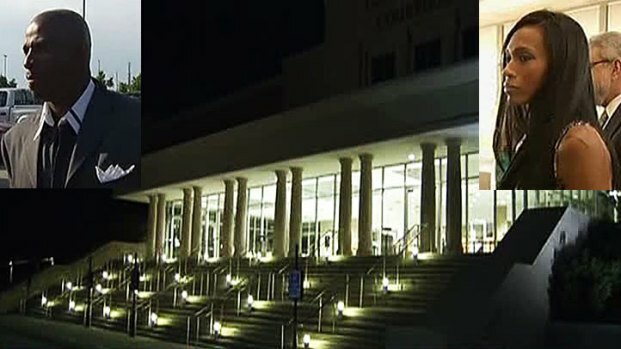 The Hall of Famer said Pilar agreed to the $1 million settlement and he wants it to stand. Pilar is also asking a judge to hold “Primetime” in contempt of court. The former model claims he’s not paying the $10,500 per month child support that the judge ordered. Deion insists $10,500 is too much money and he claims he has been paying the maximum amount that the state allows, but didn’t specify an exact amount. Deion said that the couple now has joint custody of their three kids. Sanders denies that he’s worth a reported $250 million and said the divorce is taking a toll on him as well. How long will this divorce drama last? Deion said that it’s up to Pilar. Watch for continuing coverage on NBC5.